Given that Christmas is less than a week away, I’m going to feature gifts that you can buy locally vs. ordering online. 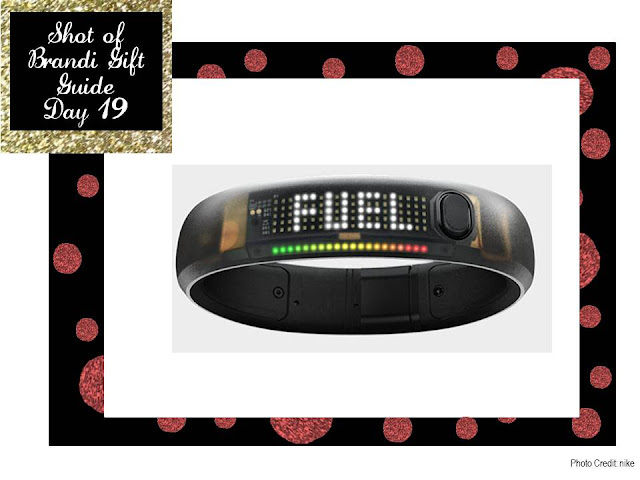 Today, let me share one that is on my list – the Nike Fit Band. This band tracks almost all of your daily activity - running, walking, dancing, etc. So at $150, this bracelet costs more than your average pedometer, but it does SO MUCH MORE. It’s like a daily work out game. The more you move, the more points you earn You can set daily movement goals and then track against your family and friends – who doesn’t like a friendly competition! This is all done via a handy virtual app. Now you can’t complain about not having a workout “buddy” because you can “compete” against complete strangers! Check the Nike website, but the band is available at sporting goods stores!